Our Fishing Boat Insurance program policy is designed for your bass-boat type pleasure and professional watercraft of lengths usually less than 25’ and typically in the 17-23’ range. Fishing and Bass boats usually are outfitted with outboard motors and there the horse power to length ratio is high so that the fishermen can quickly transit to new fishing areas. These boats have storage areas for tackle, poles, reels, lures, line and other apparatus and usually have platform swivel seating for visibility, easier navigation and operation, and easy casting. Live-wells, electronics, and low power trolling motors are common (under most circumstances). Our underwriters are careful to consider boats outfitted with excessive engine horsepower as ineligible when the engine power is in excess of the manufacturer guidelines. Professional and semi-professional boats are carefully underwritten. Fishing Boat Insurance coverage is provided on competitive terms and at the lowest possible price from among many carriers. Fishing Boat Insurance is for small to medium watercraft that do not have a cabin areas. 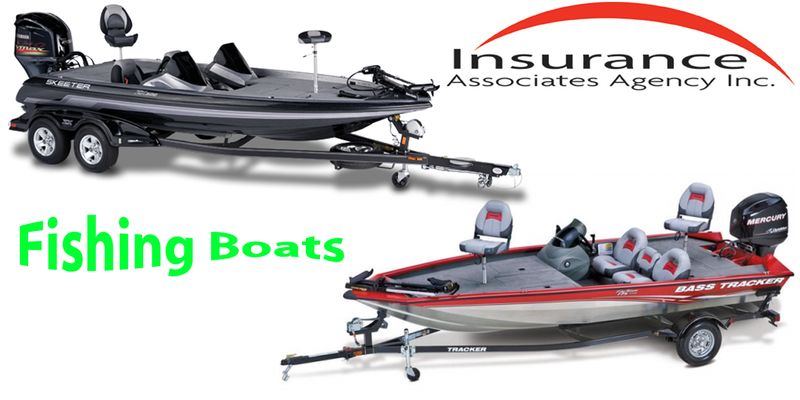 Coverage for fishing boats is sometimes provided within homeowner insurance policies when the boats are under 27′ in length which takes in most bass-type fishing boats. Fishing Boat Insurance may not fit under homeowner policies because most fishing boats have motors of greater than 50 HP and the 27’ or less and 50 HP limit is typical of many homeowner policies.